Magnet To Release Sharlto Copley Sci-Fi Flick EUROPA REPORT! 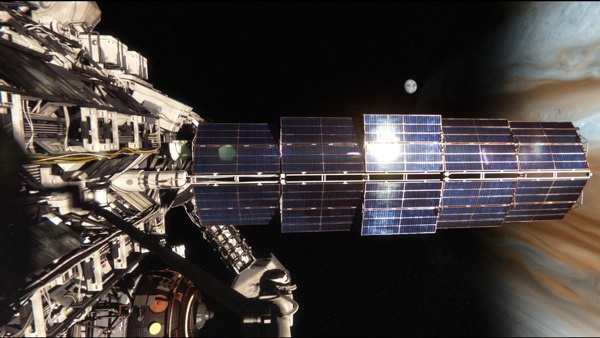 Sebastián Cordero's EUROPA REPORT, which stars DISTRICT 9's Sharlto Copley, wasn't on my radar before today, but I'm all for a hard science-fiction film about the future of manned space exploration. Evidently, so is Magnet Releasing. The Todd Wagner/Mark Cuban-owned company has announced that they will distribute the film in the United States, which means it'll likely roll out via VOD before receiving a limited theatrical release. Much like 2011's 13 ASSASSINS, this looks like one to check out in a theater (provided it plays somewhere in your neck of the woods). The above still is pretty damn cool, while Cordero's creative collaborators include the gifted cinematographer Enrique Chediak (127 HOURS) and PAN'S LABYRINTH production designer Eugenio Cabellero. According to the press release (which I've excerpted below), this isn't a large-scale film; it's apparently a brainy genre-bender that's more interested in the plausible than the fantastic. I'm intrigued. Magnet Releasing will distribute the film later this year.